Since my last post on "Newbie Blog Tools" was so popular with you all I have decided to go into the blogging subject further. I think the subject line of this one will help a lot of bloggers not just newbies like myself! Again these are the things that apply to me based on my interest so it will not apply to everyone but I hope it will at least help some of you. First impressions are so important so I think having a template installed for you to get you started is very important. Quite often when I look at blogs I love the fresh look and it makes me want to browse further. Templates are cheap and you can pick one up on etsy easily which includes installation for blogger / wordpress. I am running a competition to win a template of your choice here if you are interested. I really cannot stress how important photos are for a blog. Good quality photos on your blog will get you followers and the one thing that puts me off following a blog is if the photos are bad. Again I am no expert when it comes to photography but I am slowly learning through looking at other blogs that I love and seeing how they take their photos. For me personally sometimes too much writing on a blog post I lose interest and quite often I just skim through it and focus on looking at the photos instead. There is a saying that a photo speaks a thousand words... My english grammar is rubbish and I will admit to it which is why I am focusing on taking great photos and let them speak instead! I think consistency of your blog post is fairly important. Now I am not saying you should post daily since it's simply not possible as majority of us blog as a hobby. If you are someone that posts once a month you will easily be forgotten in my opinion... My personal preference is at least 2 posts a week minimum and take it from there... I certainly found consistency helped me greatly in building up followers. If you are a lifestyle blogger like myself I think varying up your posts is important. I try and mix up my topics - beauty, fashion, my home, food and general lifestyle. So I wouldn't necessary write up 2 beauty posts in one week I try and mix it up a little. Again this is my personal preference and it seems to be going down well with my readers. These are all great points indeed. I think i still have to work on my template since i have put it into my head that i want to build mine myself. And another point is the font and colour and the background. Pink letters on moving background? Really? Content has to be really really good before i put that strain on my eyes. Saying that, who am i to talk, i just have very few followers so far (though i love all my few Sciencecrumbles ;) ), but well thats what makes me follow other blogs :). By the way, you had me hooked already on the photos but your content is amazing too, so please stop worrying about grammar and keep them content coming ;). This is all so true. I can't place enough emphasis on the quality of the blog design and photography! But I guess I'm superficial like that...! Superficial....I think a lot of us are but those are the successful bloggers out there! I agree with blog design and photography being key. I guess you could post with very few words if your photos are amazing! Thanks for your comment Jill. I agree with you 100%: the look of the blog is the most important. My blog is just one week old, but before launching I spent a lot of time and effort on the design and I'm hoping it paid off. There is one little thing I'm not sure about though. I actually think that blogs with more writing are a nice rare thing nowadays. Of course, I'm talking about well thought out, opinionated writing, not long writing just for the sake of it. I love gorgeous photos as much as the next blogger, but your writing should not take a backseat to the other parts of the post. I guess since I am replying back late your blog is now a few weeks old! How are you getting on? I guess writing depends on your readers, I know some people love to read long posts but for me and the readers I have attracted so far they seem to be happy with what I am doing...I hope!!! Thanks for stopping by Kosta. Great and useful post. Would love it if you could check out my latest look book! And maybe follow each other too? Thanks - glad you find it useful Aliona. You're so bloody right. Image is everything on a blog post. The layout is just as important as it should be easy to navigate around. 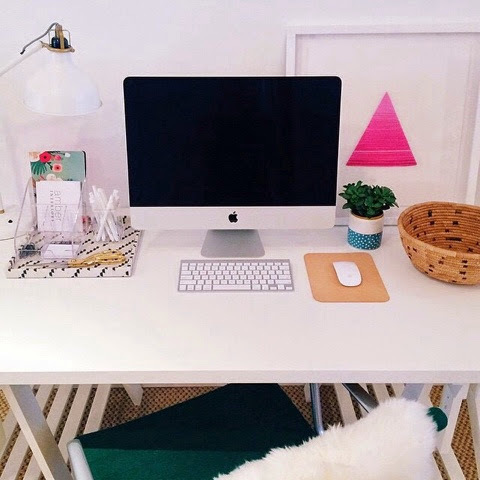 No one wants to spend half hour looking for the 'add me to bloglovin' button - am I right? You are certainly right girl!!! I would happily look through a blog with just photos. Thanks for stopping by Emma. It's interesting to see what others like in a blog, but I think it's important you know that everyone will like something different. It is possible that your readers might even like something different to you and if you were to make your blog as you like a blog to be, they might not. Just a thought :) That's not important though, as long as you like it, you are happy, that's what is the most important. I thin it's good to have an idea of what you like, but I think it's a shame to disregard a blog simply because they don't meet these requirements. especially with writing and photos, we all start somewhere and when you are a new blogger you need to find your feet. I like to read the blog and make a judgement from there, I have a few small blogs that I follow and although they don't look the best, the photos aren't amazing, every time they write a new post, they are better than before and I get excited for them. Thanks for taking the time to share your thought with us K! Hi Mandy, you're right we only have a few seconds when someone lands on your blog to see if it's for them. I like clean templates, uncluttered side bar and clear photography as well as bloggers to take the time to think about their readers. Thanks for stopping by Hana - I love the foil font! This is slowly becoming the all time popular post on my blog to date!!! Good Luck with your own! Keep working on your photos and you will get there! I am still learning daily myself but it can be hard to find the right lighting etc... Thanks for stopping by!